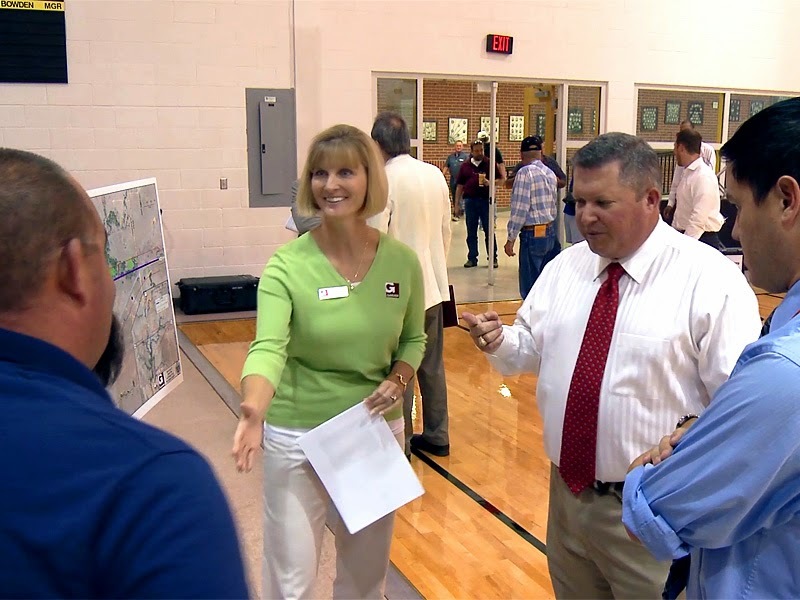 In putting together an in-house training video to illustrate good presentation practices, the Oklahoma Department of Transportation featured footage of Garver employees presenting at a public meeting in Mulhall, Oklahoma. Garver’s Transportation Design Team in Tulsa has become a go-to consultant for ODOT because of their collaborative services in preliminary engineering, environmental studies, and public involvement, in addition to traditional design services. “ODOT has historically provided the bulk of behind-the-scenes tasks when it comes to public involvement services, but they’re starting to rely on Garver to supplement them in these tasks,” said Garver Project Manager Jenny Sallee, who was featured in the training video. Public and stakeholder meetings are an integral part of the National Environmental Policy Act process required for federal funding. Garver has conducted meetings for ODOT on eight projects and is already contracted for eight additional projects through 2016.